Bilaspur district is located near shores of Sutluj Valley in the Indian state of Chhattisgarh. It is Also the second largest city in the state. Bilaspur has got a decent flow of traffic throughout the city. RTO in Bilaspur plays an important role in ensuring the smooth flow of the traffic. Bilaspur RTO has been established under the provisions of the Motor Vehicle Act of 1988. It is governed by the transport commissioner. Under the provisions of the applicable law, all transport rules are adequately followed. One of the most essential tasks performed by Bilaspur RTO is new vehicle registration in the district. Registration copy is one of the mandatory document for all the vehicles. It is issued by Bilaspur RTO after thorough verifications of documents provided by the vehicle owners. Learning license is issued to people who are at an initial stage of driving. It is granted for the period of 6 months only. Bilaspur RTO issues it as per the service level agreement decided by the law. Bilaspur RTO is also engaged in issuing the driving license to all the citizens in the Bilaspur. For issuing the driver license there's a process that needs to be followed. People need to submit the required documents and undergo the drivings tests. After successful verifications of their papers and successful driving tests only driving license is issued. If all the documents are up to the mark and the tests are successfully completed on time than driving license is issued within a day. Driving license is issued for a limited time period only. After that, it must be renewed. The expired driving license is not considered to be valid. Bilaspur RTO simplifies the process by extending the license renewal process as per the applicable terms and conditions. Whenever any vehicle outside the state of Chhattisgarh is driven in Bilaspur it needs special permission. Though the grace period of 3 months is always there. After that, they must get NOC from the RTO office of Bilaspur. In order to issue NOC, Bilaspur RTO needs few documents from the vehicle owners. After submission of the documents, they are thoroughly verified. Once the scrutinizing process is over, NOC is issued with ease. 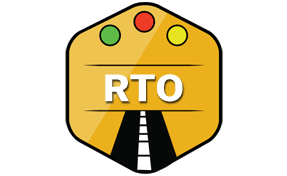 Bilaspur RTO is constantly engaged in granting the required road permits as and when required. Even the renewal of the permits is facilitated by RTO in Bilaspur. Imported or tourist vehicles need specialized permission for free flow driving in Bilaspur. The required permission is granted by the Bilaspur RTO. Commercial vehicles like cargo etc are not allowed in Bilaspur unless they are approved by the RTO in the district. Bilaspur RTO grants required consent to these vehicles. It's the responsibility of Bilaspur RTO to collect vehicle excise as applicable on any mode of transport. Different vehicles got a distinct slab of the tax. Excise is collected as per the applicable scale. Regional Transport Officer (RTO), Bilaspur, Chhattisgarh - 495001.